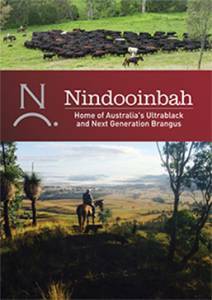 and have been “exporting” bulls to Western Australia for 4 years. Beef Central’s John Condon speaks with Euan Murdoch and Nick Cameron of Nindooinbah, and David Crombie beef producer in Warwick and former Meat & Livestock Australia Chairman – about the challenges for producers in the beef industry while meeting the needs through all stages of the supply chain ending with the consumer. Transparency along the supply chain with a market focused industry is what we hope to see evolve over the next 10 years – genetically selecting cattle more efficiently; delivering superior genetics to producers. This is what we want in 10 years time, to be able to supply our clients, and the industry can access the technology to turbo charge the genetic change within the industry – for social and economic gains across the supply chain. Enquiries and inspections always welcome! 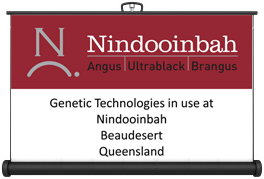 Presentation by Nick Cameron delivered at the Beef Genetics Conference 2012 in Rockhampton, outlining the genetic technologies in use at Nindooinbah, Beaudesert QLD.